1. 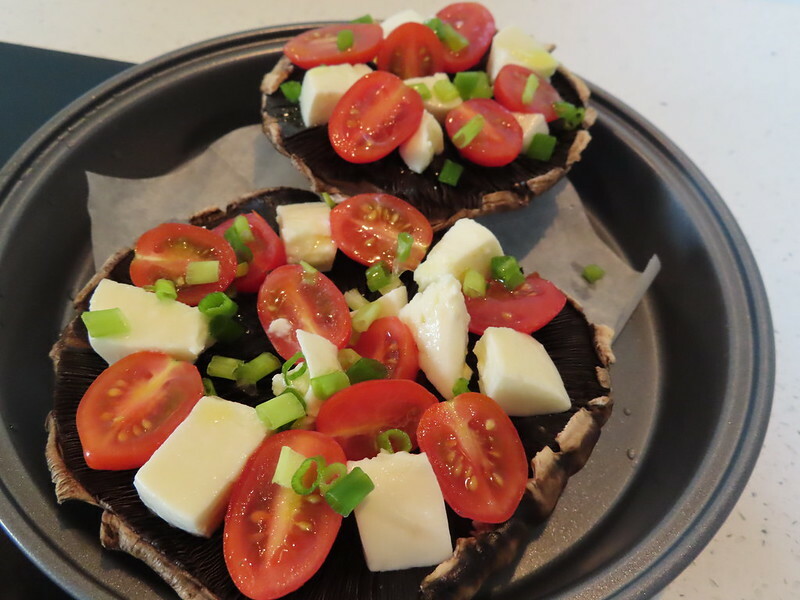 Prepare Portobello mushroom as pizza crust: wash them gently under water. Remove the stem. 2. Mix 1 tsp finely chopped garlic with 1 tablespoon melted butter in a small bowl. 3. Brush mushroom with butter & garlic mixture. Sprinkle very little salt over mushroom. 4. Cut cherry tomatoes into halves. Mozzarella cheese ball into small chunks. 5. 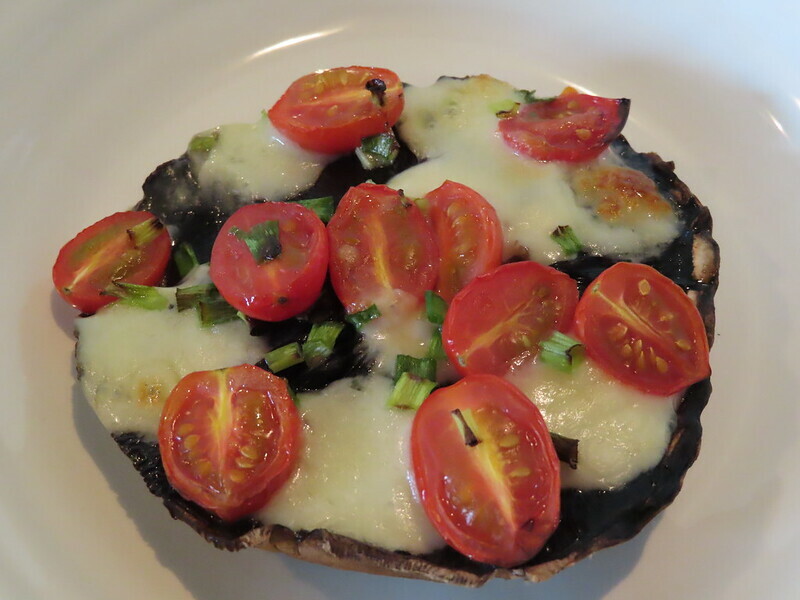 Place tomato and cheese alternatively on the mushroom. 6. Drizzle a little olive oil and garnish with chopped spring onion or basil. Into 220 degree C oven for 13-15 mins. 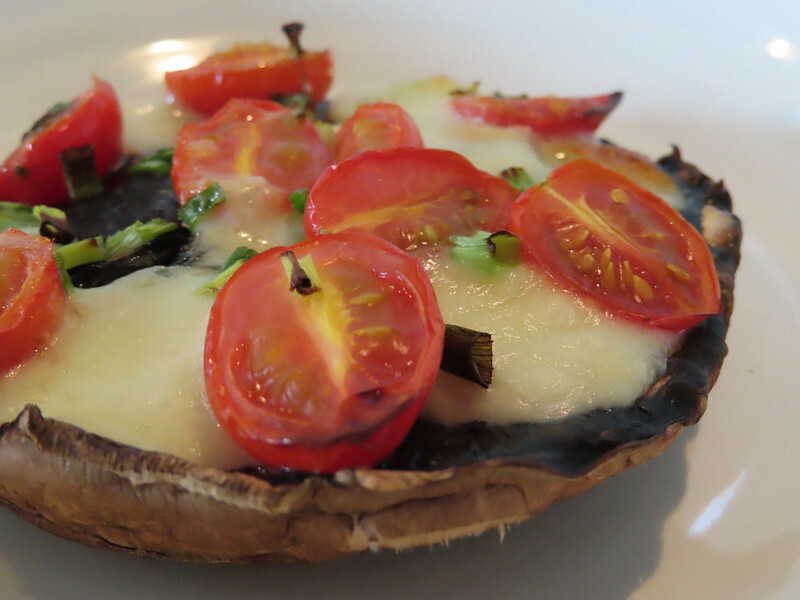 I have a great recipe for Coates’s stuffed portobella mushrooms on my page that I think you’d like! You’re welcome, this looks very similar and yummy!